Unless you’re a T-Mobile voice customer, you’ll get charged $10 per month for your “free” 200MB of data. Voice customers will get a $10 monthly credit on their bill. 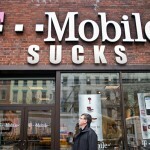 But, as noted by MacRumors, T-Mobile CEO John Legere has taken to Twitter to set the record straight. 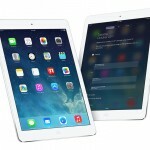 According to Legere, the $10 per month fee that was asked of prospective T-Mobile iPad Air buyers was an "executional mistake." Legere adds that "everyone" is eligible to get the 200MB of free data, "no strings attached." T-Mobile offers the iPad Air, which was officially launched by Apple today, under its so-called "uncarrier" plan. The 16GB version is available at no money down and 24 monthly payments of $26.25. The 32GB and 64GB versions are available at down payments of $99.99 and $199.99, respectively.